Today I'd like to show you my progress on the harebell panel. 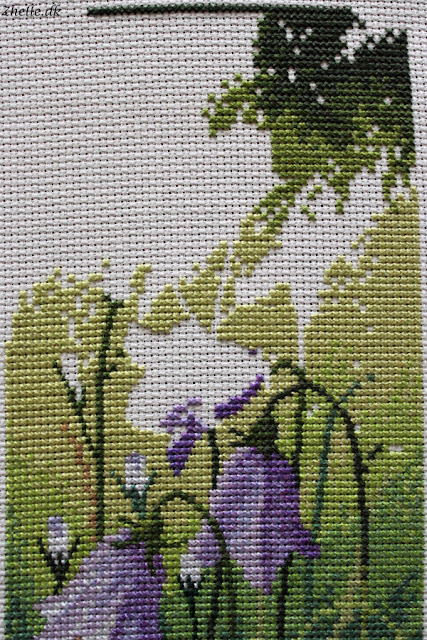 The last week I have been off work because of Easter, so I have had a lot of time to stitch. I am getting closer and closer to the finish line, and I hope to reach it soon. 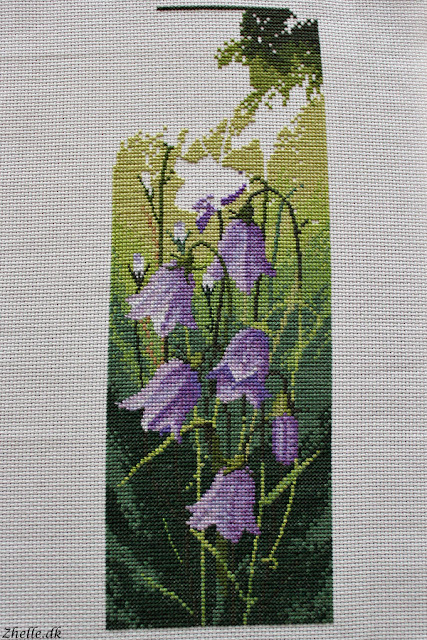 I look forward to having a lot of harebells on my wall, as I will turn it into a picture, and I also look forward to continuing with other pieces. The dark green line at the very top is the top line of the embroidery, so there is not that long to go now!